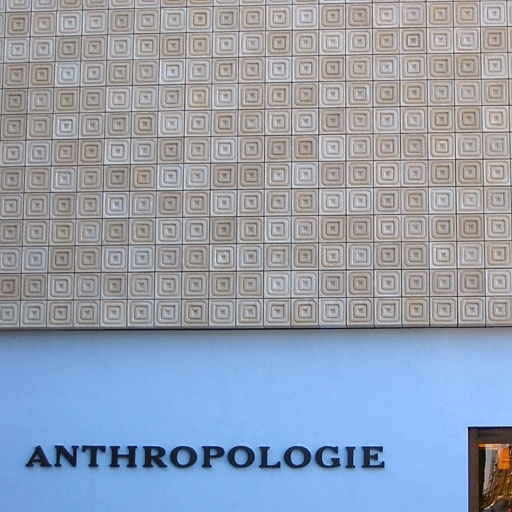 Custom designed GFRC wall cladding created for Anthropologie by Stromberg’s. GFRC is proving itself to be an asset in the construction industry as an alternative to traditional concrete. It is strong, durable, flexible and versatile. And, during a time where the environment has taken center stage, its advantage as a sustainable building material has become very important. Here’s why. Before learning how GFRC is sustainable, it is good to know what the word, sustainable, actually means. While it can be defined as the ability to be used without being destroyed, the meaning used here is that sustainable can be the ability to produce something that does not use up or destroy natural resources in the process. Ingredients: The natural ingredients have no adverse effect on the environment or ecosystems within the environment because they have low toxicity levels. It also uses recycled materials, including glass and metal, which helps define its sustainability. Minimal Natural Resources: GFRC uses fewer natural resources because it uses less cement than traditional concrete does. The materials that are used are naturally occurring and are not used up over time. Manufacturing Process: Producing this water-based building material does not give off any chemicals or byproducts that would harm the environment. Construction Process: GFRC assists construction companies and building owners to create green buildings because it contains fewer natural resources, uses locally available materials, and reduces energy use, fuel consumption, and transportation resources. It is also lightweight, which means that less material is required. Low Waste: GFRC produces less waste than traditional concrete, helping to sustain the environment. Building Life: Because GFRC is durable and long lasting so that it can withstand hurricanes, weather, fire and seismic activity, this reduces the need for maintenance, repair, and replacement, which means lower emissions and disruption to the natural environment. A long lasting building also means that it does not require maintenance or repair, saving energy and natural resources in the process. Various studies have confirmed the sustainability of GFRC. For example, the Government of the United Kingdom’s DETR/Concrete Industry Alliance ‘Partners in Technology’ project found that GFRC has a much lower environmental impact by a factor of 60% compared to traditional precast concrete. Stromberg Architectural can assist construction companies with meeting LEED requirements through its GFRC materials. This includes helping to achieve credits related to such LEED categories as Energy and Atmosphere, Materials and Resources, Indoor Air Quality and Innovation and Design Process. All of these categories directly relate to GFRC’s ability to be a sustainable building material. Stromberg Architectural offers free estimates for all of its GFRC architectural products, which can help provide sustainable, green buildings that are beautiful and long lasting. You can learn more about all the advantages to using GFRC for a construction or restoration project by filling out our online contact form or contacting our knowledgeable team at 903-454-0904.